Body Maps, a collaboration between General Electric and Health Line is taking human anatomy social. The users can explore the human body through over a thousand 3d renderings of body parts, and over 200 videos covering different medical conditions and procedures. What makes Body Maps social, is that the user can annotate images by drawing on them with their finger and share the results via Facebook or Email. It’s available for $8.99 in the App Store. 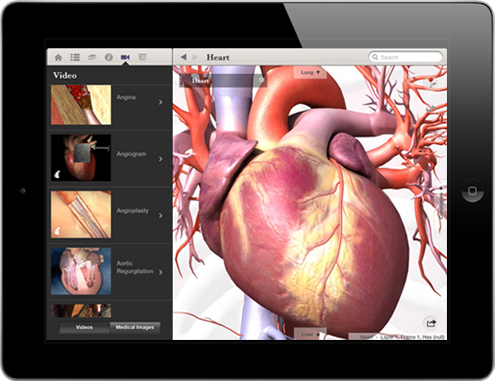 "ipad medical apps' "body maps app"